Our food contains acidic components or sweets which react with other chemicals in our mouth to decompose and become acids. These corrode teeth, and create cavities or cause those unsightly yellow taints. Likewise, beverages such as a coffee can stain the teeth. Luckily, there are over the counter teeth whiteners available now, which can be used periodically to get that gorgeous smile back. What Is Used To Manufacture Over The Counter Teeth Whiteners? Almost all over the counter teeth whitener products contain peroxide. However, American Dental Association has prescribed the limit of this chemical in any dental product. Peroxides in dental compounds should not exceed 10 percent as per this limit. Moreover, not all peroxides work as needed. Most dentists and other cosmetics professionals are of the opinion that if it is hydrogen peroxide or carbamide peroxide, the product is going to be effective in whitening the teeth. But it is not sufficient that these peroxides are present in the product. It is the effectiveness of their delivery also that counts. In some teeth whitening products, more than one such technologies, devices, and compounds may be used as a system to whiten the teeth. Of course, everybody does not have sensitive teeth. Likewise, some people may have uneven teeth. Therefore, they would need an over the counter teeth whitening product that can spread evenly through their uneven teeth. The best over the counter teeth whitener may be different for such cases. This is actually a device. It uses some gel and some light to do the job. Results can be seen in about five days. It causes negligible sensitivity, if at all. It is easily available. Its drawback is it is a bit expensive. It is also a complex system when compared to other over the counter teeth whiteners. 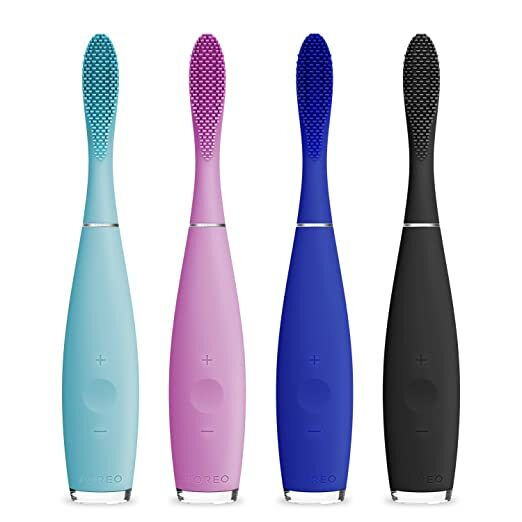 It is an electric toothbrush made from silicone, capable of 11,000 sonic pulsations of high intensity. Therefore, it can deep clean teeth and remove the stains. Because of its deep cleaning action, it prevents any more stains from developing. The technology, however, does not come cheap. As of date, this toothbrush can cost as much as $178.Check an earlier post on choosing electric toothbrushes here if you missed it. This would be a more affordable option. It costs only $50 or so as of now. It is easily available from retailers like Amazon. The gel in this “snap pack” kit enters the tooth and whitens it from inside. The effect is more lasting because as the upper layers keep on wearing out, the new layer is whiter. It takes just a week to show results. There is a capsule inside the applicator. This capsule contains the formula including hyperoxia. This kit is sold for approximately $30 to $36. As the name suggests there are strips that are to be worn on teeth. These strips have to be worn every day for about half an hour or so for a year because that is how long the strips in the packet would last anyway. The effect lasts for almost 14 years, which makes the effort worthwhile, though the strips do not interfere with eating, drinking, talking etc. , thanks to some gripping technology. This is one of the easiest over the counter teeth whitening system. It consists of gel, which can be easily applied to teeth, using a cotton swab. It can also be applied with the help of toothbrush or a “mouth tray”. The list of such products is not exhaustive. But price and effectiveness are usually considered to be in tandem. It is not necessarily so, though. Sometimes, people are allergic to gel composition. Hence, it is always better to try the product in smaller quantities, before becoming its regular user. There are branded products such as Philips Zoom Whitening, in which the delivery is done using syringes. 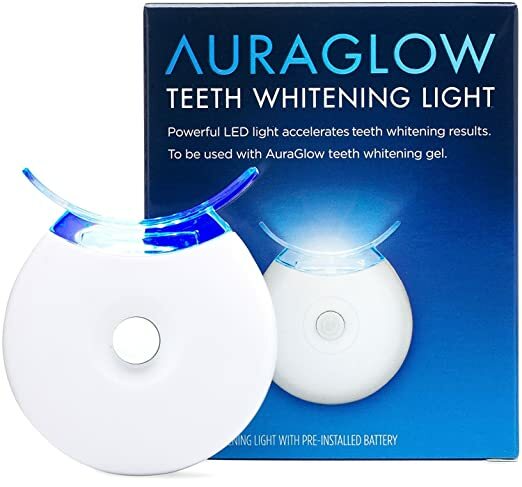 This product is available for less than $30 and has good consumer reports as well confirming that it qualifies to be on the list of best over the counter teeth whitening kit. I hope you found value reading this post about the best over the counter teeth whitener, if you have any questions, please leave me a message below, would love to hear from you.If you know anyone who can benefit from this post, go ahead and share with them on social media. im sure you will be glad you did, who`d not want shiny white teeth? I got free teeth whitening sessions when I got my braces out and after getting dental implants. I hated not being able to move one bit! Gotta try some of the products above. Thanks for the list! 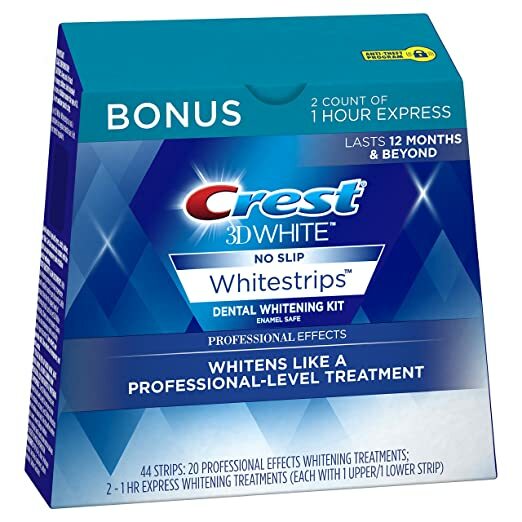 Lucky you,wish anyone could offer me free teeth whitening session.Having said that, as these teeth whitening products are not expensive, I consider it treating myself instead of visiting a spa, I just get home teeth whitening kit. This is solid information here. I’ve been considering some of these new teeth whitening products and your article has really given me some food for thought. I learned that Peroxide is the necessary ingredient. $178 for a toothbrush is rather pricey, but considering what it can do makes it a worthy investment. I’m just not sure if the LED light is worth it, I am afraid that it may cause complications later. Either way I will definitely scour your site for more info so I can make a decision, thanks! Thanks for stopping by,the $178 for an electric toothbrush is not way over expensive, electric toothbrushes are good value for money when you check at the long term.